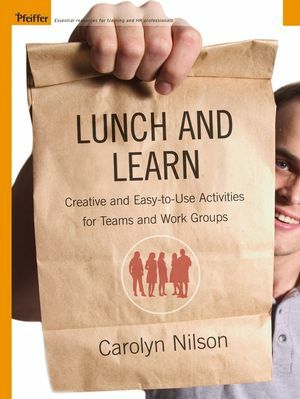 Lunch and Learn is filled with ready-to-use activities designed for full-time trainers, managers, team leaders, supervisors, and anyone else who acts as a trainer within their organization. The activities are on-the-job learning sessions that explore targeted topics relevant to almost any team or group. Each of the 25 sessions is a short 55-minute learning experience that is based on the best principles of discussion and reflection, creative thinking, problem solving, and action planning. All the book’s activities are organized in a step-by-step fashion and include everything a session leader needs to conduct a successful learning event, from discussion starters and activity handouts through suggestions for wrapping up the session. Carolyn Nilson is a recognized expert in the field of training. Her professional background includes roles in executive, management, consulting, and organizational development. A prolific writer, Nilson is the author of more than 30 books on the topic of training. 22. Needs of Team Members.